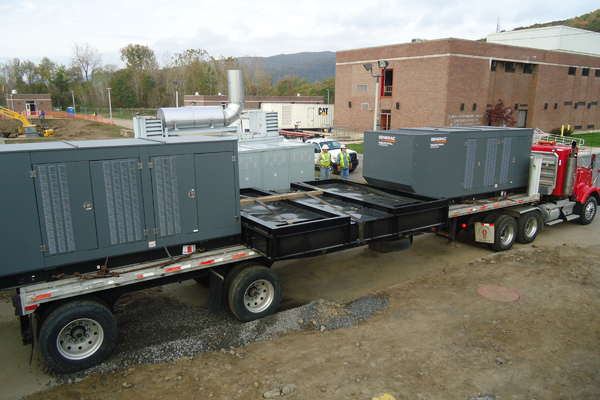 Flood recovery project for sewer plant serving 35,000 people | Maintained the site during the outage and got the facility back to permanent power and fully operational in a tight time frame. Replaced all flood-damaged underground building power distribution, all electrical distribution equipment and all damaged lighting and electrical devices throughout facility. Also repaired all Motor Control Centers in the facility. In August of 2011, Hurricane Irene submerged the LLVSA sewer plant under five feet of floodwaters. All back-up emergency systems and utility power were damaged and shut down. Urban Electric worked with the facility staff and FEMA around the clock under a very tight schedule and time frame to get the facility back to permanent power and fully operational during the recovery. During the outage, we maintained the plant 24 hours a day operating with multiple temporary generators and stand-by equipment and systems. Continuing the flood recovery effort, we replaced all flood-damaged electrical distribution equipment and all underground power distribution to each building, as well as all flood-damaged lighting and electrical devices, and repaired the Motor Control Centers located throughout the facility. Since the flood, Urban Electric has completed several extensive renovation projects to protect the Sewer Authority’s equipment from damage in the event of future flooding. This work has included a tank expansion project, which involved the renovation at the existing treatment facility area, including power distribution, Motor Control Center expansion, and upgrades to the existing automated control systems in a Class 1 Div 1 explosion–proof environment. We also replaced the existing main service switchgear and utility service damaged during the flood, while maintaining the facility on round the clock temporary power in order to keep the facility operational at all times. Currently, Urban Electric is relocating the switchgear and installing two redundant emergency generators on an 8-foot high elevated steel platform to alleviate any down time to the facility in the event of another major flood.